Globe Interiors is an exclusive distributor of the world renownedStressless® a luxury product in design and comfort. Designed and manufactured in their Ekornes Factory, Norway. Stressless® recliner chairs, reclining sofas, office chairs and accessories offer custom colours, designs, a variety of styles and needs to suit everyone, from home to the professional environment where comfort isn’t just a luxury but also an experience. Take the Comfort test ™ for yourself and experience true luxury comfort at its best, visit one of our showrooms today! Globe Interiors is an exclusive distributor of the world-renowned Stressless furniture from Norway. 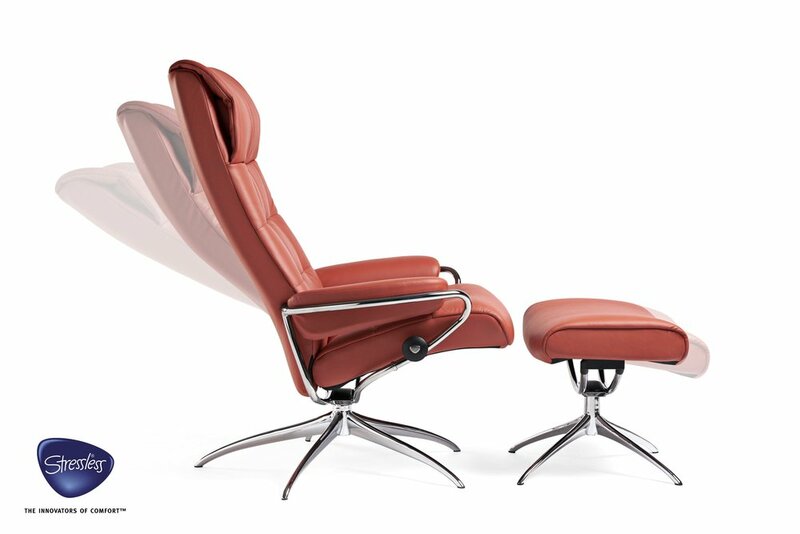 A luxury brand, Stressless gives you the world’s most comfortable seat, and the range includes reclining chairs, sofas, and office chairs. Dozens of styles and a multitude of colour options means you can create the perfect setting for your space. Most recliners are available in three sizes, so they’re perfect for any frame! With a Stressless reclining chair or sofa you’ll always find the right balance, from head to toe. That’s because the unique BalanceAdaptTM technology automatically adjusts the sitting angle with your body’s tiniest movement. All Stressless furniture comes with a massive 10-year guarantee on the internal mechanisms, so your mind can be as comfortable as your body.